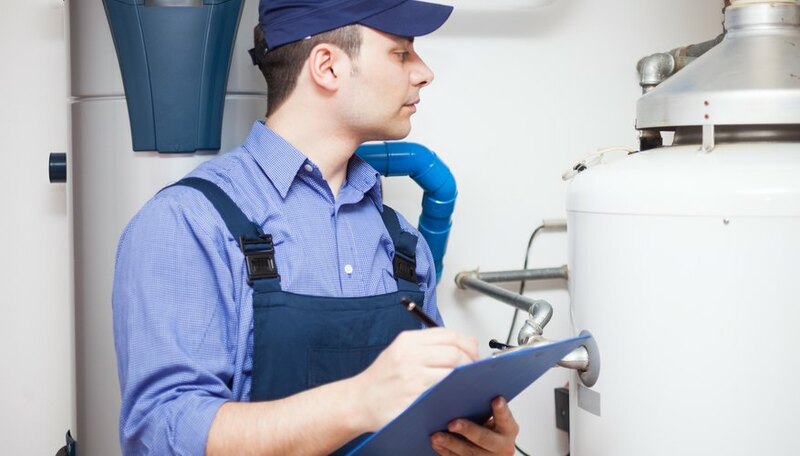 Whether it's part of your job or you're just looking to make some upgrades on your home, you may want to determine the effectiveness of your boiler (the amount of energy needed to turn water into steam). You'll probably be working with information like the horsepower (hp), the British thermal units (BTU), and the pounds of steam per hour. If all you know is the BTU for your boiler, using some simple equations can help you to determine how many pounds of steam per hour your boiler creates. Convert the BTUs into hp units first. One unit of hp is equal to 33,472 BTUs. Thus, you will divide the BTUs by 33,472 to get your hp units. For example, if your BTUs equal 7,363,840, then we'll divide that number by 33,472, giving us 220 hp units (7,363,840/33472 = 220). Convert your units of hp into pounds of steam per hour by multiplying the number calculated in the previous step by 34.5. Using numbers from our previous example, if you multiply 220 by 34.5, then you get 7,590 pounds of steam per hour created by your boiler (220 x 34.5 = 7,590). Double-check your calculations using your calculator by doing the exact same calculations and making sure the answers are the same. Or, you could reverse your math to verify your calculations. Start by dividing the pounds of steam per hour by 34.5, then multiply that number by 33,472. You should have your original BTU number that you started with. If your numbers match up, then you've done your math correctly. William Jackson has written, reported and edited professionally for more than 10 years. His work has been published in newspapers, magazines, scholarly journals, high-level government reports, books and online. He holds a master's degree in humanities from Pennsylvania State University.